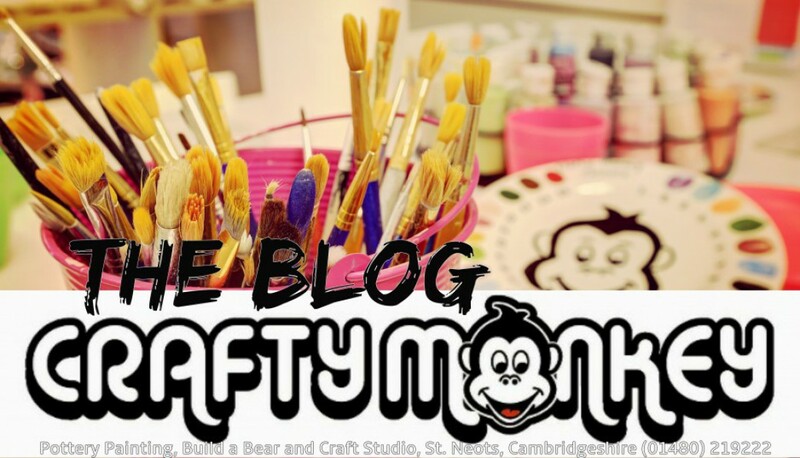 It’s not a well-known national celebration, but we think it’s one that’s worth embracing because at Crafty Monkey, we’re friends of the Gingerbread Man! Yes, today is National Gingerbread Decorating Day and we’re up for participating with our offerings of hanging Gingerbread decorations and cute Gingerbread plates! These particular items are so very popular amongst our painters that they don’t get shoved into a dusty cupboard at the end of December- we love to celebrate the cheeky little chappies all year round! If you fancy trying your hand at painting a Gingerbread plate for your festive table or a mini version for your Christmas Tree, then come along and we’ll show you how! Remember that booking is essential during the Christmas period as our studio is permanently full of festive painters making gifts and keepsakes in time for Christmas. That school holiday seemed to whizz by. It only seemed like yesterday that the whole six weeks of summer fun was here and now the children are back to school. For some of our younger customers it was their first day at school or first day at secondary school so a big event and it was lovely seeing seeing Josh, walk past my house all dressed up for his first ever day at Crosshall school. If you didn’t get a chance to bring your children in over the holidays then there’s always after school or Saturdays now the weather will be shifting to autumn mode, not that the summer mode was fully functional this year!!! We have just recently updated our stock so we have an even bigger range to choose from. Most excitingly and by demand, we now stock the Dr Who branded range which has delighted many of you. We have both Tardis and Darleks to paint and both of which come with their own set of stickers to decorate afterwards. We have also had lots of requests for owls so we listened and we now have a lovely range. Why not reward your children for being good this holiday, or encourage them in the back to school process by bringing them in to paint a pen pot that is all ready for those new stationery supplies to pop on their desk at home ready for the homework. But at the end of the day who really needs an excuse to come in to Crafty Monkey to paint something? Just come along for the fun and enjoyment of it, a lovely way to spend quality time now the kids are back at school. And then it’s Christmas but best keep the ‘C’ word quiet just for now!